Social media is rapidly becoming a medium of choice for understanding the cultural pulse of a region; e.g. for identifying what the population is concerned with and what kind of help is needed in a crisis. To assess this cultural pulse, it is critical to have an accurate assessment of who is saying what. Unfortunately, social media is also the home of users who engage in disruptive, disingenuous, and potentially illegal activity. A range of users, both human and non-human, carry out such social cyber-attacks. We ask, to what extent does the presence or absence of such users influence our ability to assess the cultural pulse of a region? Our prior research on this topic showed that Twitter-based network structures and content are unstable and can be highly impacted by the removal of suspended users. Because of this, statistical techniques can be established to differentiate potential types of suspended and non-suspended users. In this extended paper, we develop additional experiments to explore the spatial patterns of suspended users, and we further consider how these users affect structural and content concentrations via the development of new metrics and new analyses. 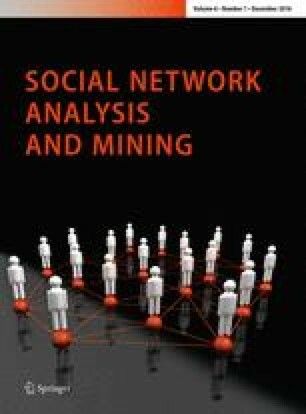 We find significant evidence that suspended users exist on the periphery of social networks on Twitter and consequently that removing them has little impact on network structure. We also improve prior attempts to distinguish among different types of suspended users by using a much larger dataset. Finally, we conduct a temporal sentiment analysis to illustrate differences between suspended users and non-suspended users on this dimension. This work was supported in part by the Office of Naval Research (ONR) through a MURI N000140811186 on adversarial reasoning, DTRA HDTRA11010102, by the Department of Defense under the MINERVA initiative through the ONR N000141310835 on Multi-Source Assessment of State Stability, and by Center for Computational Analysis of Social and Organization Systems (CASOS). The views and conclusions contained in this document are those of the authors and should not be interpreted as representing the official policies, either expressed or implied, of the Office of Naval Research, the Department of Defense, or the United States Government.